Buying a home is a big investment, and can be one of the most stressful decisions of your life. 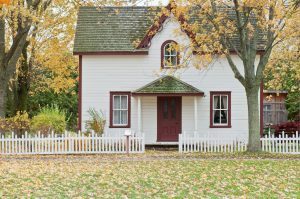 There’s a lot to keep in mind when buying a home, and a lot of research to do to make sure you’re getting a good price in a good neighborhood. Selling a home can be just as difficult. Often, timing is everything, and planning and putting yo ur house up for sale while moving or purchasing a new one is a lot to have on anyone’s plate. That’s why The Degnan Group at Key Realty is here to help. Learn about these three common pitfalls of buying and selling a home, and how to avoid them in your next purchase. This is far and away the biggest mistake you can make when buying a home. Do not rely on the seller’s inspector or take their word that the home is in top condition. Instead, you need to hire an independent inspector to take a look at the whole house. This includes plumbing, electricity, the foundation, roofing, and more. A lot of these issues may not look like anything is wrong to the untrained eye, but could cost you thousands in damages and repairs once you are living in the home. Once the inspection is done, it may turn up major issues in the home. Now that you know about them, you have the choice to either continue with the buying process and renegotiate a price or credit based on the new information, or in the case of serious problems, it may be better to scrap your plans and start your search again. Whenever you make an offer on a house, make sure to negotiate a contingency that will allow you to change or back out of your offer without cost if the inspection turns up any previously unknown damages. One important home buying tip from The Degnan Group is to visit the home you are considering at different times. One of the biggest mistakes homebuyers make is buying a house without first understanding the neighborhood, roads, and noise levels around it. Sure, the house may be great when you are viewing it at 2 pm on a weekday, but you are going to be living in it full time. What is traffic like on the streets outside? Will rush hour clog up the streets with exhaust and honking cars every day, and lengthen your commute? Next, visit the house at night. Is it quiet, or can you hear trains, planes, traffic, and more that will keep you awake in the years to come? Finally, try to get a feel for what the neighbors are like. Are they loud, dirty, messy, and going to cause problems? Or will they be kind and respectful of you and your property? Choosing the right neighborhood is an integral part of the home buying process. Not only will it affect your school choices and taxes, it will also impact your home’s resale value. Make sure you visit your house at all hours of the day and night to get a feel for what life will be like once you move in, before it’s too late to change your mind! Hiring a real estate agent is not necessary for every home sale and purchase, but they are a good choice for any inexperienced or first time home buyer or seller. Real estate agents are professionals and have years of experience dealing with the complicated laws, regulations, contracts, and payments that make up home purchases and sales. Hiring a real estate agent can save you money because they will be able to negotiate directly with your seller’s agent in the event of any issues, like a bad home inspection. They also know the best time to put your home on the market, and the best price points. Real estate agents are paid on a commission, so they are just as invested as you are in getting the best price for your home. Real estate agents also keep you organized. Buying and selling a house requires different documents, written to specific regulations, signed at the right time and delivered to the right people. If you try to handle and organize everything on your own, a loan approval or closing meeting could fall through the cracks and set the process back weeks at a time for every mistake. When it comes to buying and selling a house, there is a lot more going on behind the scenes than may meet the eye. Hire a professional inspector, visit your potential home often, and hire a real estate agent to simplify the process and avoid making these three common mistakes from The Degnan Group at Key Realty on your next sale or purchase. As always, we are ready and available to take on your next adventure with you.